First introduced in the Lexicon® PCM70 (you know, that box that everyone used on every record, every), this is one of those effects that truly is one of a kind. The idea is still the same as when we first came up with it, but the technology behind it has had over 20 years of improvements, so get ready to push the envelope yet again with Lexicon. The Resonant Chords algorithm allows multiple delay voices to be tuned to resonate on specific notes. It uses impulsive energy at the inputs to excite six resonant voices. The voices resonate to some degree with any input, but the most effective excitation contains all frequencies, such as percussion. Other instruments may give a quality of tonal ambience in which certain notes rise ethereally from the background. Use the Resonant Chords plug-in to create glistening chords, strange ringing delays, or truly bizarre room sounds. Resonance is caused by the naturally occurring variance of amplitude of frequencies within any given system. It’s a basic principal in physics that is in play all around us. 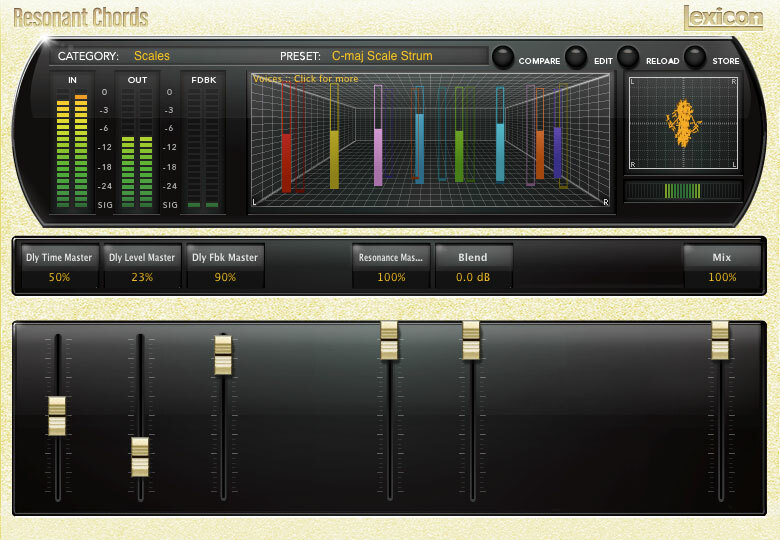 In the frame we are addressing, it is most noted as part of synthesis via instruments or through ‘filter’ effects. The exaggeration of resonance, which is really a sort of ‘EQ on steroids’, creates an ‘other-worldly’ effect that has many applications. 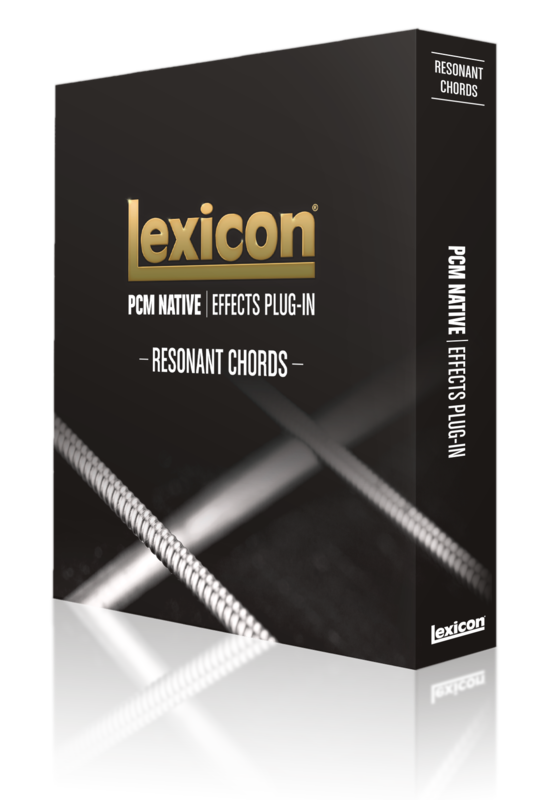 The Resonant Chords effect was created by Lexicon® over 20 years ago. It’s the perfect marriage, combining pitch and time effects to create something wholly different – an effect that gives you the ability to create a touch of unpredictability and beauty without sacrificing sonic quality. The PCM Native Pitch is also available as part of the PCM Native Effects Bundle. For other variations on Lexicon Pitch, please look at the PCM and MX hardware series or the PCM Native MultiVoice Pitch plug-Ins.